Until Sunday, the airline merger picture was pretty clear. Delta and Northwest were on track to morph into a single behemoth. United and Continental would do the same. That left American and US Airways the odd men out, raising the theoretical possibility of a tie-up between those unlikely partners. But the deck was reshuffled over the weekend, with Continental’s surprise declaration that it was suspending merger discussions with United. Those risks? While Continental didn’t get into specifics, United had just reported a $537 million loss for the first quarter and is widely viewed as the most financially precarious of the legacy airlines. 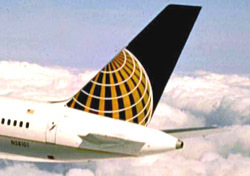 Even as it rebuffed United, Continental signaled interest in a marketing alliance with a different global alliance: “We are considering alternatives to SkyTeam as we carefully evaluate which major global alliance will be best for Continental over the long term.” (Currently, Continental is a member of the SkyTeam group, which includes Delta, Northwest, Air France, KLM, and others.). There are only two alternatives to the SkyTeam alliance: oneworld (led by American, British Airways) and Star Alliance (United, US Airways, Lufthansa, and others.). Having rejected United, and by extension Star Alliance, it’s apparent that Continental’s interest is in the oneworld group. So, one possible scenario would be an American-Continental alliance, including co-participation in oneworld, code sharing, and frequent flyer program links. That would leave United and US Airways—arguably the least desirable partners—to build on their existing relationship as co-partners in the Star Alliance, either through closer cooperation or an outright merger.